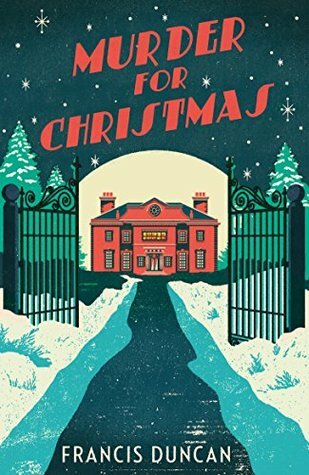 When Mordecai Tremaine arrives at the country retreat of one Benedict Grame on Christmas Eve, he discovers that the revelries are in full swing in the sleepy village of Sherbroome–but so too are tensions amongst the assortment of guests. When midnight strikes, the partygoers discover that presents aren’t the only things nestled under the tree…there’s a dead body too. A dead body that bears a striking resemblance to Father Christmas. With the snow falling and suspicions flying, it’s up to Mordecai to sniff out the culprit–and prevent anyone else from getting murder for Christmas. I requested this book from Netgalley, because in my mind it would be nice to read it around Christmas time. It became after Christmas that I read it, but I still enjoyed it very much. The setting of this book is very Christmas cozy, with snow, a mansion, a Christmas tree and carolers. The book absolutely got me in a Christmas mood, and the murder was fitted very well in the story. This book felt like a classic murder mystery set in December. It wasn’t hard to read and didn’t have an extremely difficult plot. A nice murder mystery to relax with. The murder plot was fun and not too easy. I didn’t feel like I knew the murderer and story from the beginning. Every character had enough motive to be the murderer and I personally didn’t guess who the murderer was until the end and was even put on the wrong path. The clues were good and were really connectable to all the guests. I was a bit worried that the amount of characters would confuse me but I remembered everyone pretty well, being given a good image of every person. It can happen that you lose the oversight when too many characters are involved in the book. The author handled that very well.